I’ve had this PCB on a pile for nearly two years, decided it was time to look at it. There is no Green on the graphics, Red and Blue are fine, but colours look washed out because of this. Started at the edge connector, and using the probe checked the Green pin and it was stuck low, the Red and Blue were pulsing nicely as I would expect. Traced the Green video path all the way to the second layer which is the main CPU board and smaller. 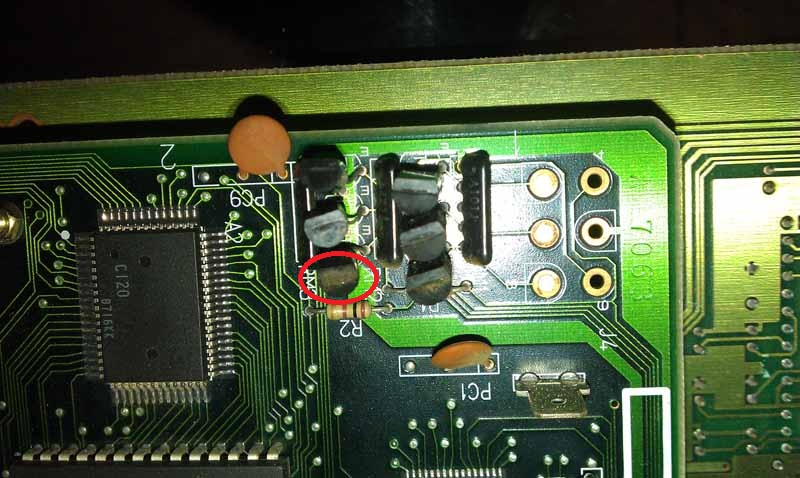 Found a Transistor (TRM3) which had been crushed and legs were shorting, effectively grounding the Green video. Straightened it out and all good now, full colour is back. Thing to note is that these Transistor protrude quite a bit, and since these Namco System 1 boards do not have legs, the board tends to sit resting on these Transistors. 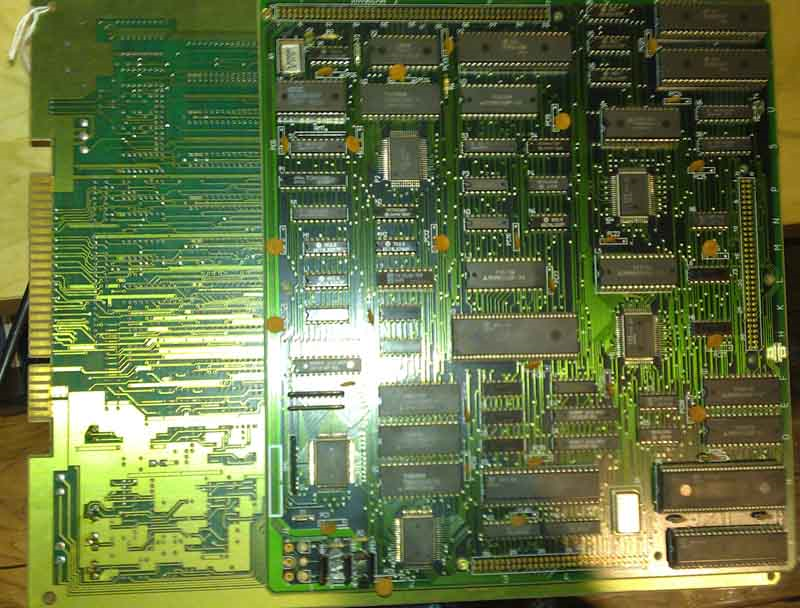 One to watch out for if you lose a colour on a Namco System 1 board.